I would highly recommend the 2 day Encounter with Nature trek. It was a once in a lifetime experience. 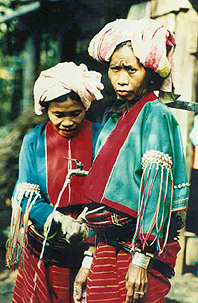 The stay in the Karen village was an adventure that we will never forget. The people were so friendly, welcoming us into their homes. Our guide was superb, warm, informative and he made us feel very at ease in unfamiliar surroundings. This was our first trekking experience & we would highly recommend it to anyone who enjoys the outdoors or getting off the beaten path. 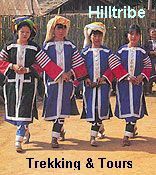 The whole process from booking the trek, to meeting the hilltribe people, to experiencing the local food will not soon be forgotten. Wayfarers Travel is a fantastically professional organisation that provides a first class experience. We now have a lifetime of memories to look forward to. - All treks have to be registered at the Tourist Police office before departure (that is why we ask for a photocopy of your passport). This is in order for them to check that the route is safe, the guide is licensed and to have a record of people participating in the trip. - we insure trekkers in case of accidents for a sum of up to 100,000Bt/person (injury) and 200,000Bt/person (loss of life). This is in accordance with TAT regulations . This season we have made a special effort to include extra itineraries so that we cover all the popular areas. As always, our one day treks around Chiang Mai, are very popular and we have added some extra itineraries so there's something for everyone. 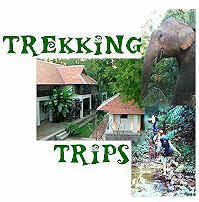 Please note all our treks are private trips. "Private" meaning that if you book as a group of two you will trek as a group of two. If you book as a group of six you will trek as a group of six. This enables us to guarantee itineraries and departure dates. There is no risk of getting to Chiang Mai to find the trip has been cancelled because there are not enough people to form a group (as happens with the larger group treks). Trekking to the Doi Inthanon National Park, south of Chiang Mai, for 3 days to enjoy the great outdoors with great views. Day 3 Walk for for 2 hours to the elephant camp passing a waterfall on the way where we stop for a rest. We take a 1 hour elephant ride and then break for lunch. In the afternoon our transport will take us to the rafting point, and we raft down the river on bamboo rafts for approx. 1hr. Drive back to Chiang Mai which takes approx. 1hr. Staying in a remote Lisu village; as well as elephant riding, rafting and hiking. 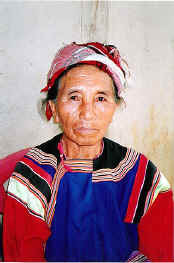 This is a new program staying in an authentic unvisited Lisu village as guests of the family. 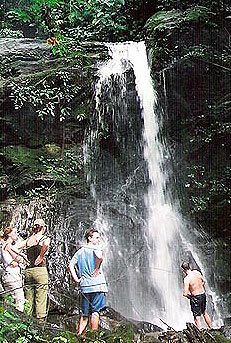 A trek for the whitewater enthusiasts, with a whitewater rafting trip on the second day. Also a decent amount of hiking with elephant riding too.